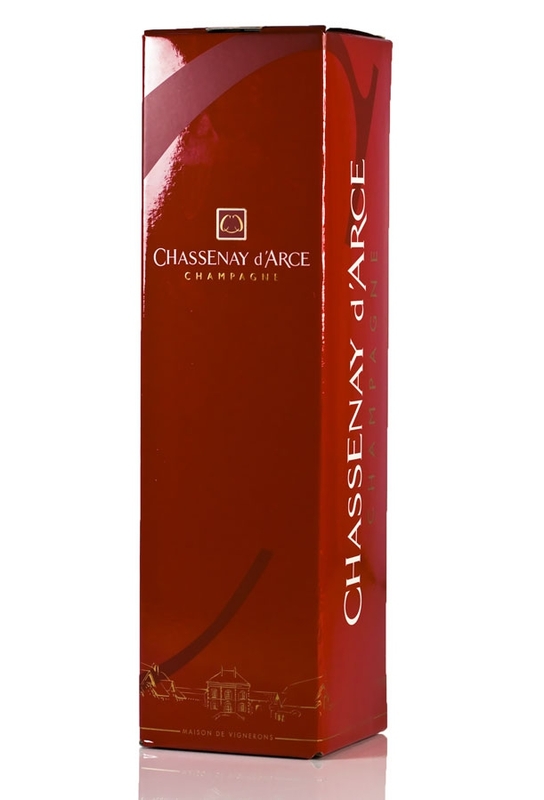 Chassenay d'Arce, Rosé Brut Champagne, 750ml. 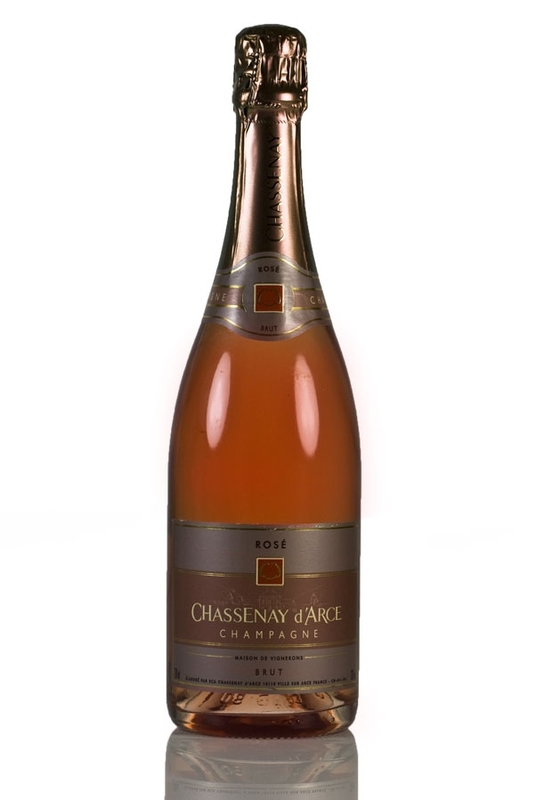 A lovely blend of 65% Pinot Noir and 35% Chardonnay gives this Rosé Brut Champagne from Chassenay d'Arce an expressive, warm and charming nose full of red fruits such as cassis and strawberry but also some soft spicy notes. This house does well to produce elegant Champagnes with fine bubbles, a soft, fluid texture and general finesse. 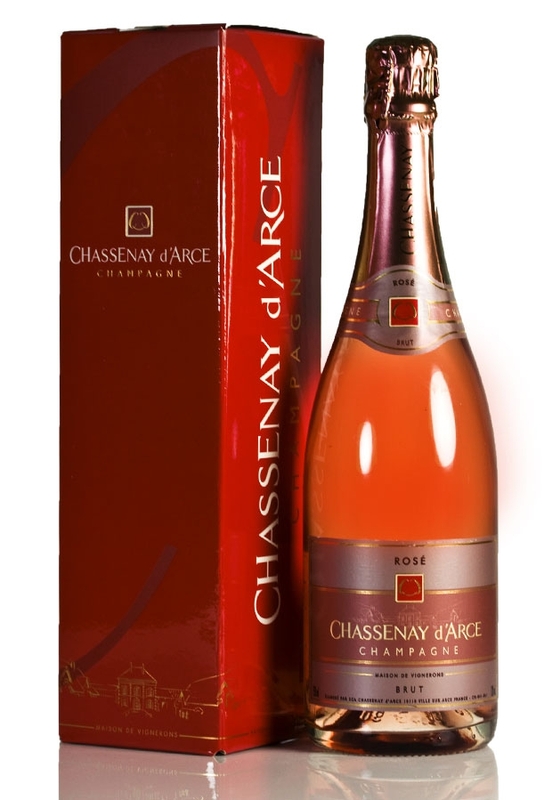 This rosé is cellared for 3 years putting it up there with some of the finest in Champagne and gains its colour from the addition of red pinot noir. This Champagne benefits from a dosage of 9g/l. 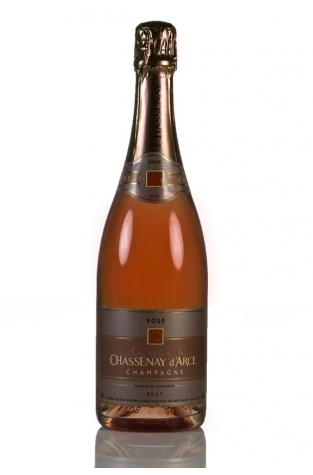 The Chassenay d'Arce Champagne House is found in the Southern Champagne area and has gathered much critical acclaim in recent years. The grapes are grown by 130 families and the wines are produced through traditional methods but with equipment of exceptional quality. The influence of the climate in the very South of the Champagne region, the vines' exposure in a sheltered valley and the nature of the soil mean that the grapes can be harvested at full maturity at the end of the summer.